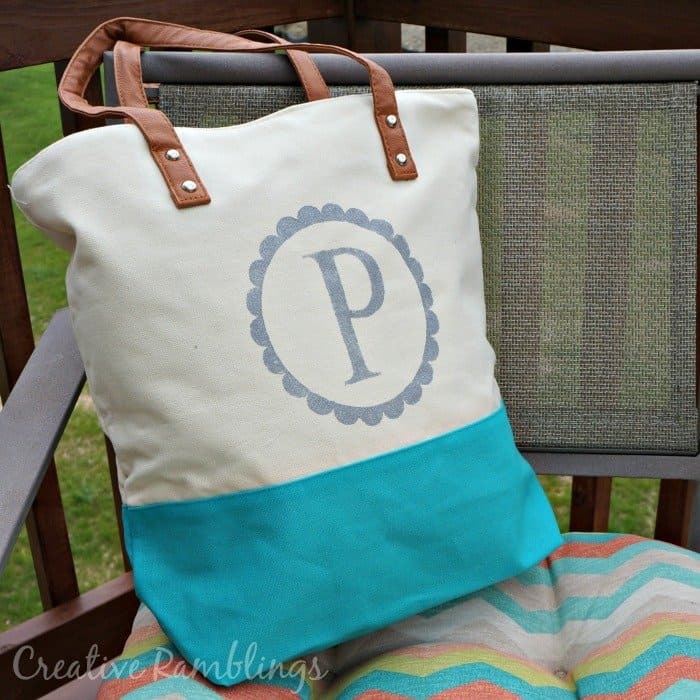 You can pick up a very similar tote here and create your own monogrammed tote bag. To personalize these gifts I turned to my trusty Silhouette. 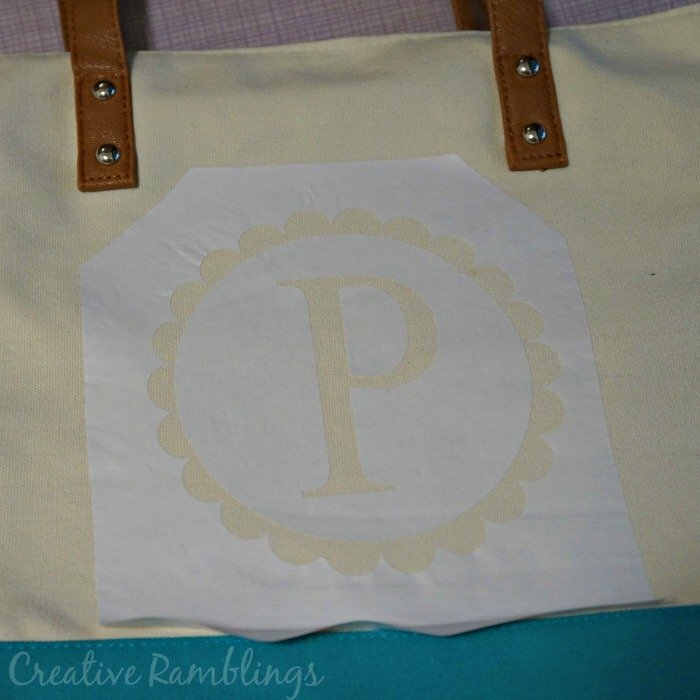 I recently tried my hand at freezer paper stenciling and loved it. 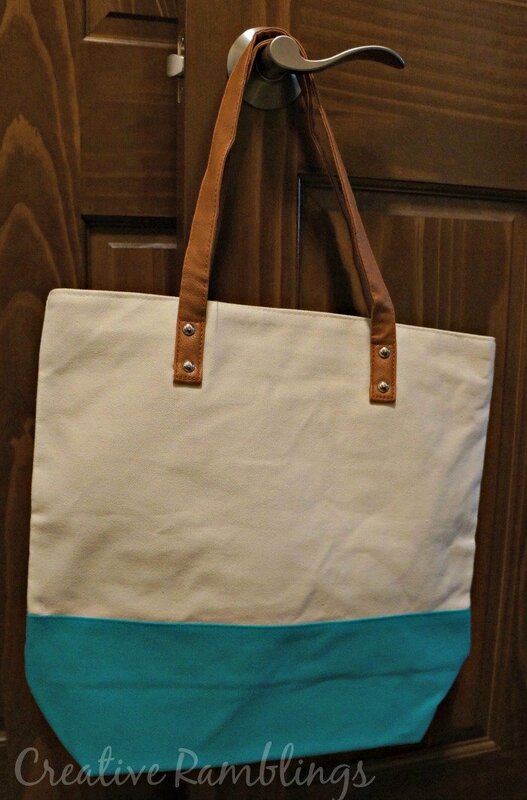 Take a look at the burlap canvas I created last week. I used the same technique on one of these bags. Mirror your image before cutting it. Place the freezer paper shiny side up on your mat. Iron it shiny side down onto your fabric (pre-washed). I used a silver paint mixed with a fabric medium and dabbed it on with a sponge brush. For the other bag I used Heat Transfer Vinyl with my Silhouette, another one of my favorite mediums. Take a look at a couple of pillows I’ve created; throw pillow and big sister pillow. For this monogram, I used an image I liked and used the trace feature in my Silhouette software to cut it. This is a great feature that allows you to cut just about any image you find. This was Little Lady’s first year of Preschool; a 2-3 year old program at the Y. She had 2 amazing teachers that deserve way more than a cute tote bag. They manage to wrangle, entertain, and teach 9 little ones on a regular basis. I hope we can convey how much they mean to Little Lady and I. What do you do for your teachers at the end of the year? I have many more years to go so I could use some more ideas. « 1000 Fan Giftcard Giveaway! Cute bag, Sarah! 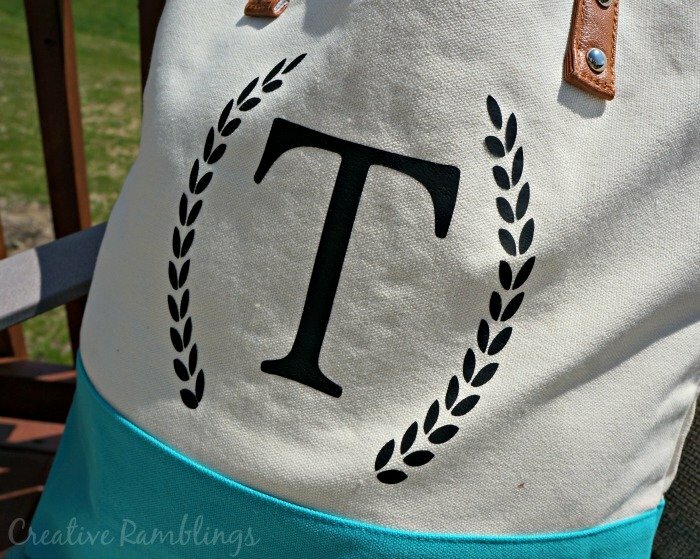 I did a monogrammed tote bag this week too! Love the bright colors of yours. I’ll have to keep my eye out for those on PYP. I’d love to have you link this up to my Creative Ways Link Party when you get a chance. A new party goes live on Wednesday! Have a fabulous weekend! How fun Nici, yes definitely keep an eye out. I will check out your party this week. Thanks for stopping by. These bags are so lovely. They seem like the perfect size, and your monograms look great. What a fabulous teacher gift! Thank you Lisa, they are a really good size, perfect for a teacher with lots to carry. This is too cute, Sarah! Thank you bunches for linking up and partying with us! Thank you, love your party! Thank you, doesn’t take much to dress up something basic. My “kids” are all grown, but any teacher would love that tote bag! You did an amazing job! Love the bag!! Thanks for sharing it!! Thank you for this tutorial! I was successful cut the freezer paper using my Silhouette, but it didn’t stick well on the burlap plate. Found out after I peeled it off and the ink blended together underneath. Maybe I need to use something different for burlap. I’ve done this with burlap. I used the smallest amount of paint, it left an “antiqued” look. It was white paint and some of the burlap still peeked through. I pressed really hard to seal the stencil to the burlap, it did not want to stick. I hope you find a technique that works for you. love love love LOVE this!! perfect tutorial! Thanks Adrienne, I’ll check out your party. Thank you so much Heather! I’ll be linking up again in the morning. Wow, great personalized bag, Sarah! I love all things monogrammed! Thanks, also, for linking up to Creative Spark Link Party! 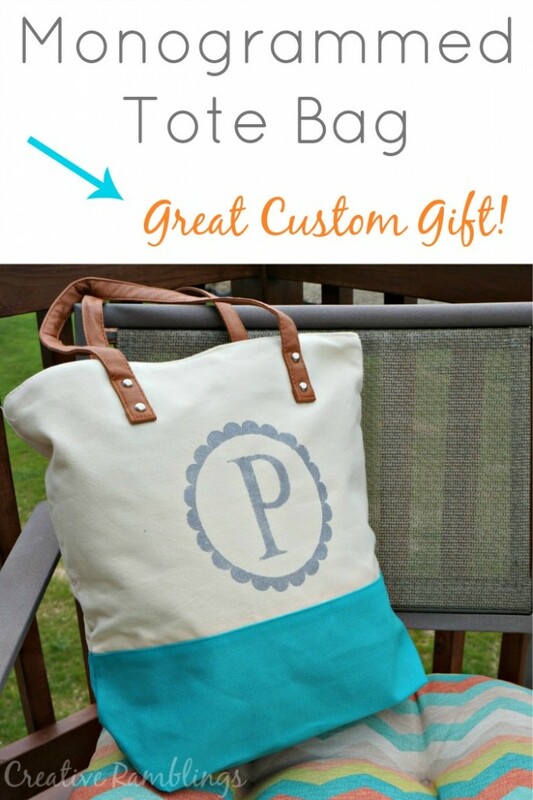 Your bag will be featured as one of our Most Clicked! Hope to see you again Wednesday! You are too sweet Becky, thank you! I will for sure be back on Wednesday.